So, I have to loop through 750,000 sentences and perform about 20,000 replacements, but ONLY if my words are actually "words" and are not part of a larger string of characters. Then I loop through my "sentences"
This nested loop is processing about 50 sentences per second, which is nice, but it still takes several hours to process all of my sentences. Is there a way to using the str.replace method (which I believe is faster), but still requiring that replacements only happen at word boundaries? Alternatively, is there a way to speed up the re.sub method? I have already improved the speed marginally by skipping over re.sub if the length of my word is > than the length of my sentence, but it's not much of an improvement. One thing you can try is to compile one single pattern like "\b(word1|word2|word3)\b". Because re relies on C code to do the actual matching, the savings can be dramatic. As @pvg pointed out in the comments, it also benefits from single pass matching. If your words are not regex, Eric's answer is faster. Use this method (with set lookup) if you want the fastest solution. For a dataset similar to the OP's, it's approximately 2000 times faster than the accepted answer. If you insist on using a regex for lookup, use this trie-based version, which is still 1000 times faster than a regex union. If your sentences aren't humongous strings, it's probably feasible to process many more than 50 per second. If you save all the banned words into a set, it will be very fast to check if another word is included in that set. Pack the logic into a function, give this function as argument to re.sub and you're done! With python3, \w+ also matches accented characters (e.g. "ångström"). Any non-word character (tab, space, newline, marks, ...) will stay untouched. There are a million sentences, banned_words has almost 100000 words and the script runs in less than 7s. In comparison, Liteye's answer needed 160s for 10 thousand sentences. With n being the total amound of words and m the amount of banned words, OP's and Liteye's code are O(n*m). In comparison, my code should run in O(n+m). Considering that there are many more sentences than banned words, the algorithm becomes O(n). 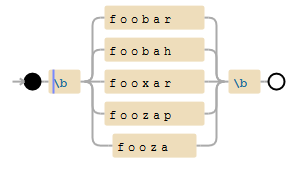 What's the complexity of a regex search with a '\b(word1|word2|...|wordN)\b' pattern? Is it O(N) or O(1)? It's pretty hard to grasp the way the regex engine works, so let's write a simple test. These results are consistent with a simple loop search. A much faster alternative to a regex union is to create the regex pattern from a trie. Use this method if you want the fastest regex-based solution. For a dataset similar to the OP's, it's approximately 1000 times faster than the accepted answer. If you don't care about regex, use this set-based version, which is 2000 times faster than a regex union. A simple Regex union approach becomes slow with many banned words, because the regex engine doesn't do a very good job of optimizing the pattern. It's possible to create a Trie with all the banned words and write the corresponding regex. The resulting trie or regex aren't really human-readable, but they do allow for very fast lookup and match. The huge advantage is that to test if zoo matches, the regex engine only needs to compare the first character (it doesn't match), instead of trying the 5 words. It's a preprocess overkill for 5 words, but it shows promising results for many thousand words. foo(bar|baz) would save unneeded information to a capturing group. """Regex::Trie in Python. Creates a Trie out of a list of words. The trie can be exported to a Regex pattern. The corresponding Regex should match much faster than a simple Regex union.""" result = "(? :" + "|".join(alt) + ")"
It's really unreadable, but for a list of 100000 banned words, this Trie regex is 1000 times faster than a simple regex union! One thing you might want to try is pre-processing the sentences to encode the word boundaries. Basically turn each sentence into a list of words by splitting on word boundaries. This should be faster, because to process a sentence, you just have to step through each of the words and check if it's a match. Currently the regex search is having to go through the entire string again each time, looking for word boundaries, and then "discarding" the result of this work before the next pass. Well, here's a quick and easy solution, with test set. "repl" can be a callable. I used a function that performs a dict lookup, and the dict contains the words to search and replace. This is the simplest and fastest solution (see function replace4 in example code below). The idea is to split the sentences into words, using re.split, while conserving the separators to reconstruct the sentences later. Then, replacements are done with a simple dict lookup. (see function replace3 in example code below). # Split the sentence on non-word characters. # and returned in the result list, so we don't mangle the sentence. # If ALL separators are spaces, use string.split instead or something. assuming your blacklist file is preprocessed with the word boundaries added. The steps are: convert the file to double spaced, split each sentence to one word per line, mass delete the blacklist words from the file, and merge back the lines. This should run at least an order of magnitude faster. These solutions splits on word boundaries and looks up each word in a set. They should be faster than re.sub of word alternates (Liteyes' solution) as these solutions are O(n) where n is the size of the input due to the amortized O(1) set lookup, while using regex alternates would cause the regex engine to have to check for word matches on every characters rather than just on word boundaries. My solutiona take extra care to preserve the whitespaces that was used in the original text (i.e. it doesn't compress whitespaces and preserves tabs, newlines, and other whitespace characters), but if you decide that you don't care about it, it should be fairly straightforward to remove them from the output. I tested on corpus.txt, which is a concatenation of multiple eBooks downloaded from the Gutenberg Project, and banned_words.txt is 20000 words randomly picked from Ubuntu's wordlist (/usr/share/dict/american-english). It takes around 30 seconds to process 862462 sentences (and half of that on PyPy). I've defined sentences as anything separated by ". ". PyPy particularly benefit more from the second approach, while CPython fared better on the first approach. The above code should work on both Python 2 and 3. A solution described below uses a lot of memory to store all the text at the same string and to reduce complexity level. If RAM is an issue think twice before use it. With join/split tricks you can avoid loops at all which should speed up the algorithm. Therefore with join/split you have O(words) + 2*O(sentences) which is still linear complexity vs 2*O(N2) with the initial approach. b.t.w. don't use multithreading. GIL will block each operation because your task is strictly CPU bound so GIL have no chance to be released but each thread will send ticks concurrently which cause extra effort and even lead operation to infinity. Concatenate all your sentences into one document. 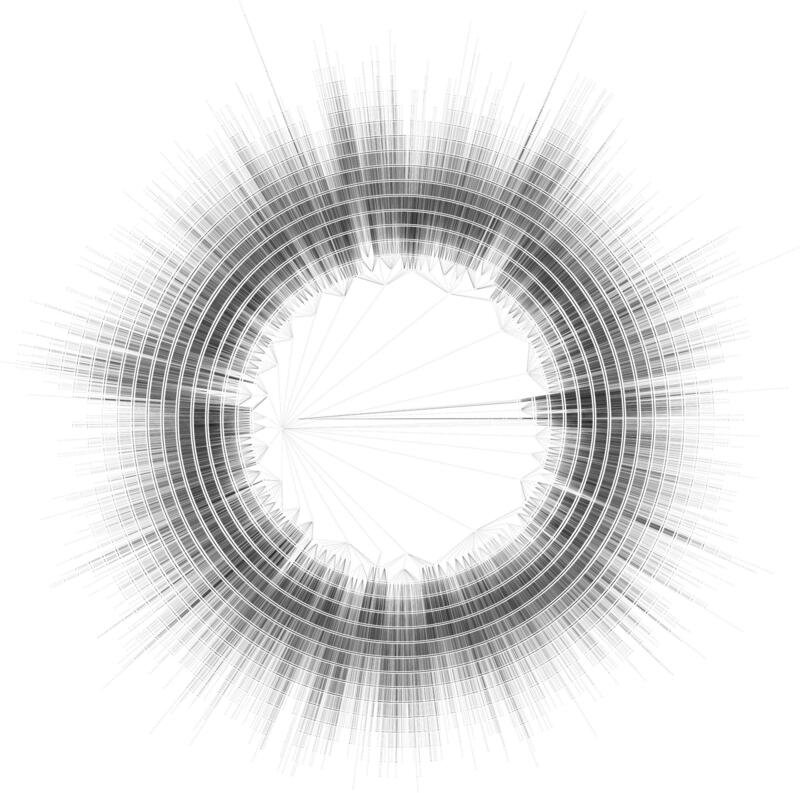 Use any implementation of the Aho-Corasick algorithm (here's one) to locate all your "bad" words. Traverse the file, replacing each bad word, updating the offsets of found words that follow etc. Not the answer you're looking for? Browse other questions tagged python regex string performance replace or ask your own question. How do I detect whether a string with no whitespace has any English words?